Auburn University Accounting & Tax Training Institute is a IRS Continuing Education Provider. Provider #BYNJN, visit www.irs.gov/taxpros/ce for more information. IRS Continuing Education (CE) is only mandatory for Enrolled Agents (EAs) and Enrolled Retirement Plan Agents. Participation in CE by all other unenrolled tax practitioners is not an official designation, but these individuals may voluntarily take continuing education. This four hour live tax planning workshop will focus on the Tax Cuts and Jobs Act and how it will affect the taxpayer in 2018 and beyond. This tax law makes major changes to the US tax code for both individuals and corporations. This workshop will present the new tax brackets, modified deductions and credits, corporate tax changes, and more that go into effect for the 2018 tax year. This live tax planning workshop is presented by instructor Kelly Myers. Advise clients about planning strategies applicable to their situations. Prerequisites: At least several years of experience as a professional tax preparer and an understanding of tax rules and regulations associated with individual and business tax returns. All complaints should be referred directly to Claire Twardy, Tax Seminar Program Developer, Auburn University Accounting & Tax Training Institute (334-844-5100) opce@auburn.edu or to Hope Stockton, Director, (334-844-5101) Auburn University, Office of Professional & Continuing Education, 301 O.D. Smith Hall, Auburn, AL, 36849-5608 or email Hope Stockton at stockhg@auburn.edu. Kelly Myers is a consultant with Myers Consulting Group, LLC; providing seminars, tax planning, consulting, and controversy services to clients across the United States. Kelly has taught nationally both as a consultant and during his 30+ year career with the IRS (retired 2017). Kelly spent his last 20 years of his IRS career working for the Washington, DC Headquarters as a Senior Technical Advisor. 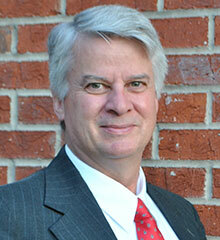 He has over 38 years of tax experience and specific subject matter expertise to assist tax professionals. He has developed efficient tax strategies in both preparation and controversy arenas. Kelly has developed technical material for IRS staff; both formal and informal training for Service-wide implementation impacting thousands of examiners. He has been a guest speaker for State CPA association meetings, National Business Aircraft Association, IRS Nationwide Forums, and others. He has an MBA from the University of Tampa with emphasis in Accounting and Taxation. His BA is from Western State College with a double major in Accounting and Business Administration with a minor in Economics. He and his wife live in Huntsville, Alabama.